A fleet of 20 new battery-operated AC buses would be introduced in the city by end-April. Seven of these buses have already arrived and 13 more would arrive by next week from the stable of Tata Motors. Fares for the new AC buses will be similar to that of AC Volvo buses — Rs 25 for the first four kilometres. The State Transport Corporation has around 196 AC buses and 50 of them are Volvos, a transport department official said. Spurred by overwhelming commuter response, AC buses were in- troduced on new routes including New Town to Garia, SDF to Bally, Haridevpur to Ecospace and Sector V to Barasat. 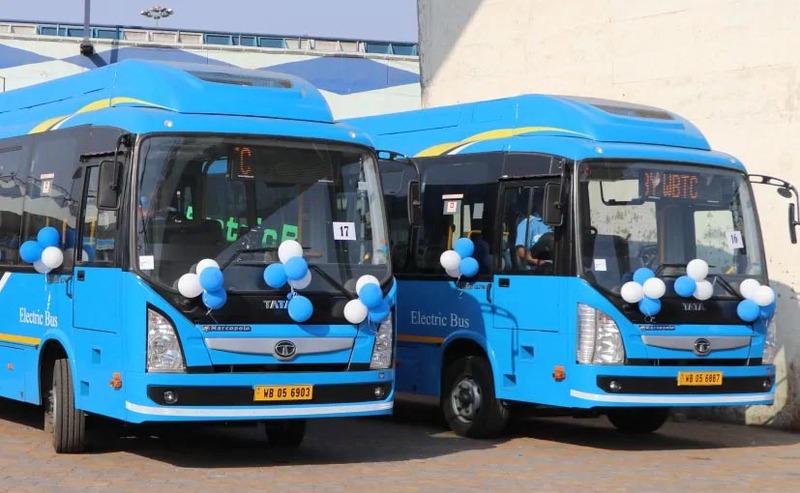 In February, chief minister Mamata Banerjee flagged off a fleet of 20 new battery- operated AC buses primarily to cater to the rising demand of commuters across Calcutta for such vehicles. Each of these buses are nine metres long and costs around Rs 34 lakh. These buses have two batteries and seats for 31 passengers. Primarily it has been de- cided to launch the new buses on routes such as Joka to Howrah station, airport to Garia and Dunlop to Joka because they generate higher earnings. Sources in the department said the challenge in running electric buses within Calcutta had been to get the vehicles charged. An electric bus shed with dedicated charging stations has been built at the Nonapukur tram depot. “We have already set up a few more charging stations at Howrah station, New Town and Belghoria bus depots,” an official said..